a. Overlaps under 10,000mm² generally do not require venting. b. Overlaps between 10,000mm² and 40,000mm² should be vented with a minimum 10mm vent hole. c. Overlapping areas larger than 40,000mm² require vent holes at least 12mm. d. When the overlapped surface area reaches 250,000mm², vent holes shall be minimum 20mm and progressively placed every 250,000mm². 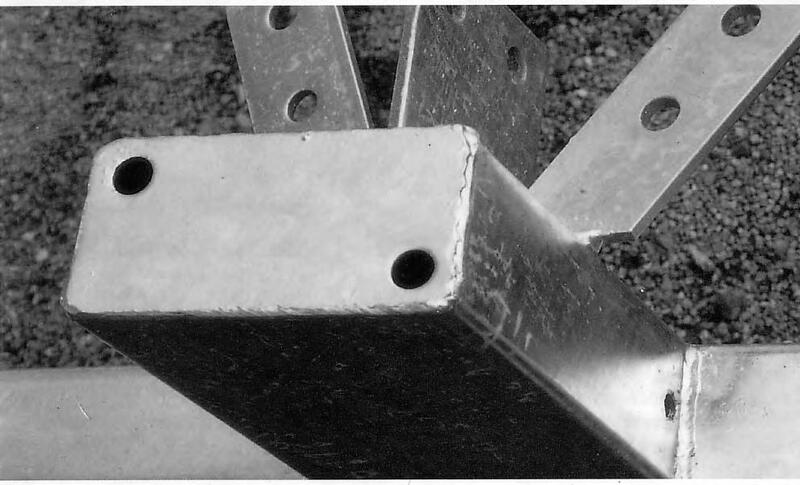 Adequate hole sizes in sealed hollow sections in the correct locations ensure galvanizing quality. For further information about designing for hot dip galvanizing, our Design Guide for Hot Dip Galvanizing including Best Practice for Venting and Draining is available in PDF format in our Technical Publications Guides section, as an iPad App, and on the Google Play Store.